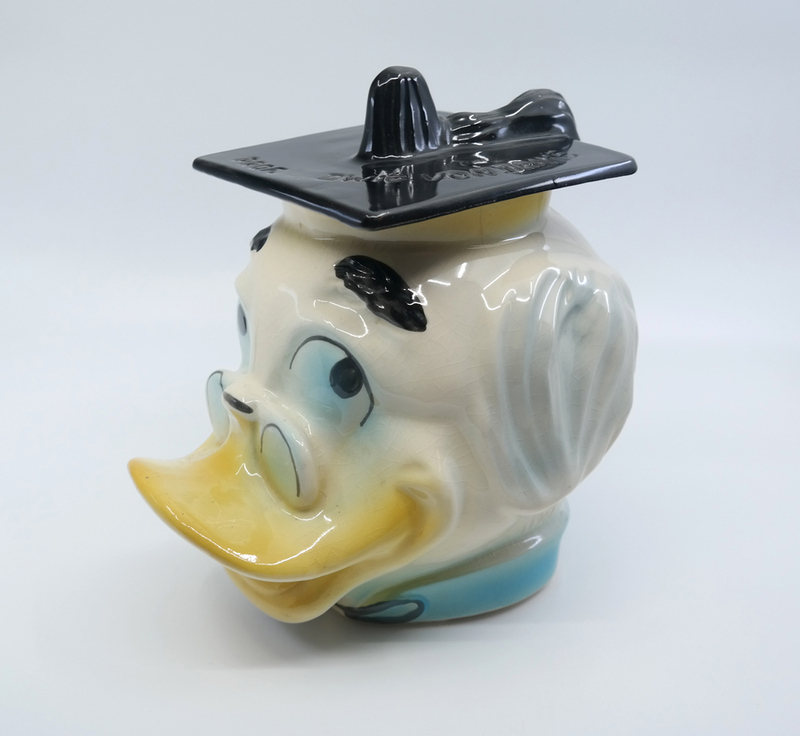 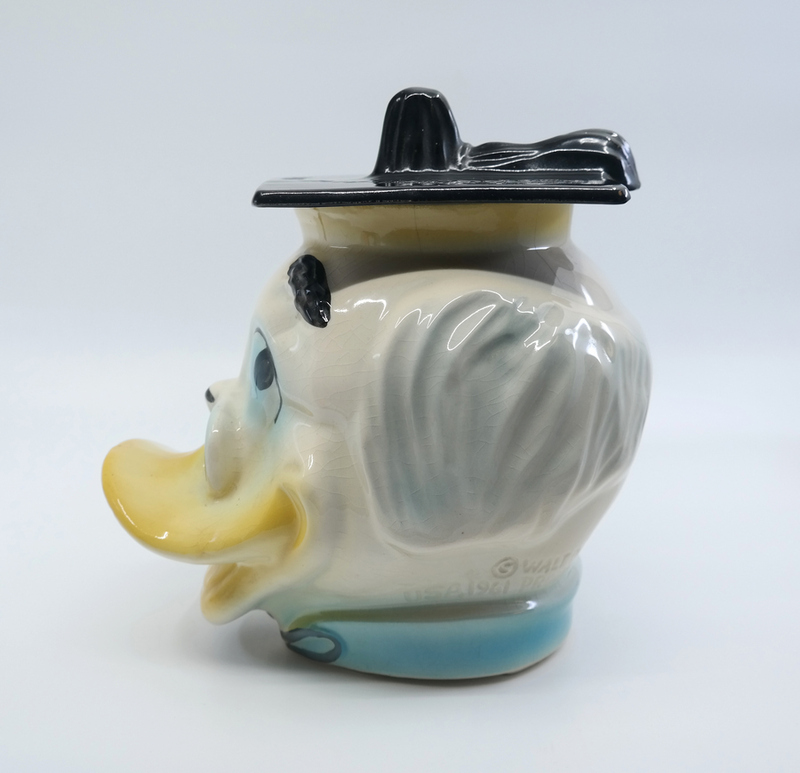 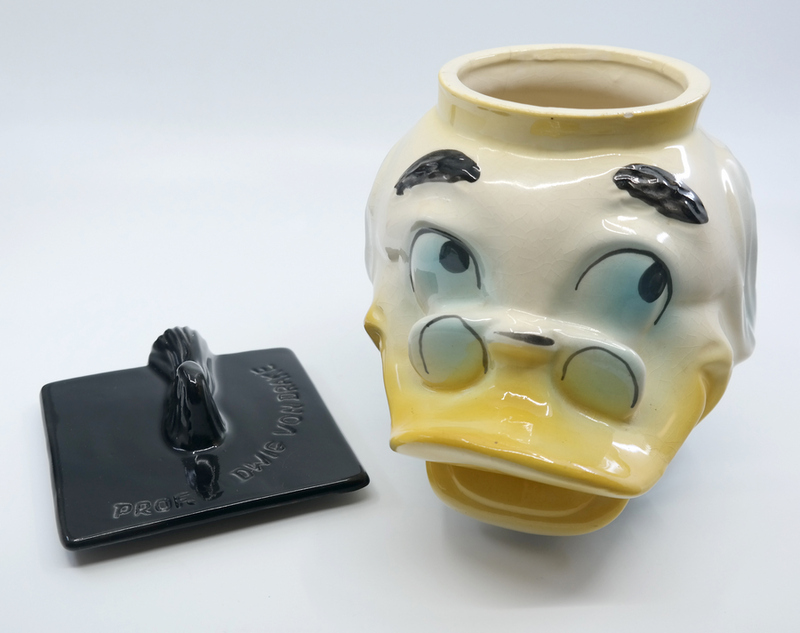 This is a vintage ceramic cookie jar depicting the ever wise Disney professor, Ludwig Von Drake. 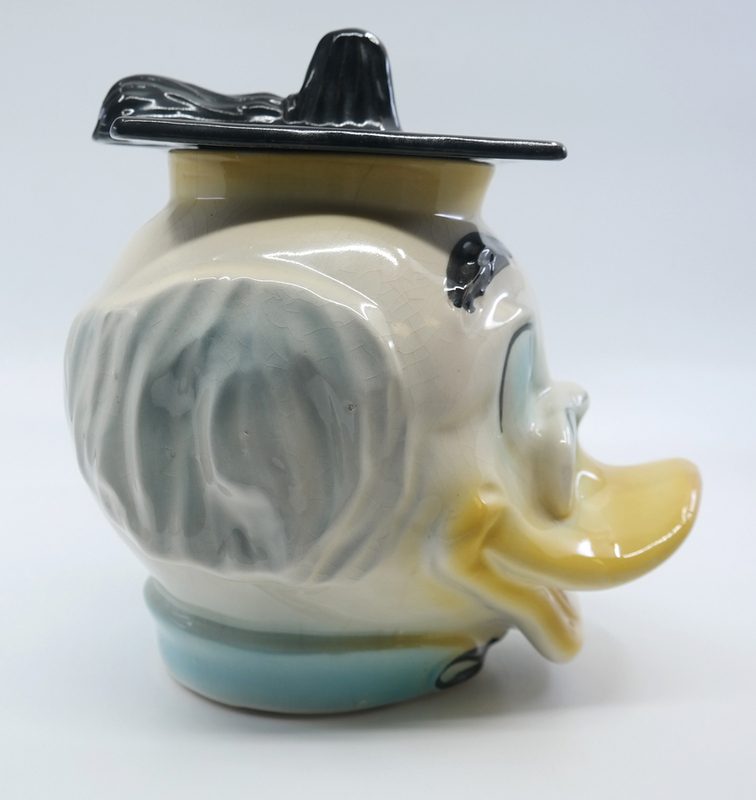 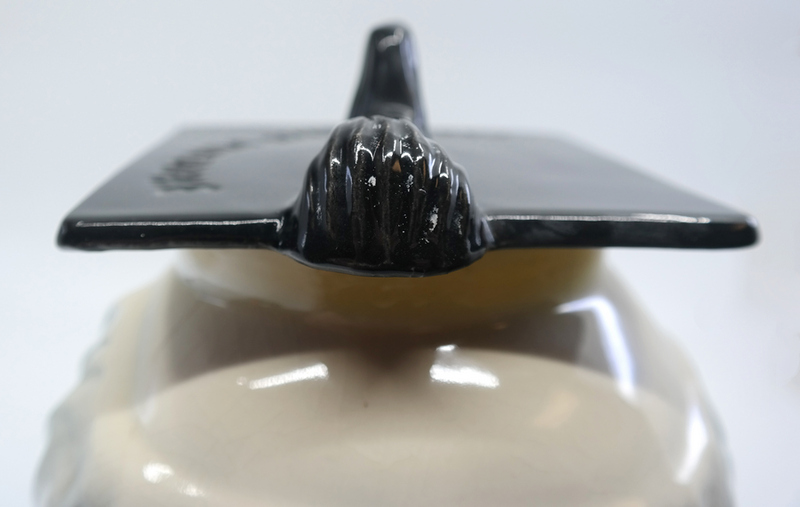 This cookie jar was made in 1961 by American Bisque. 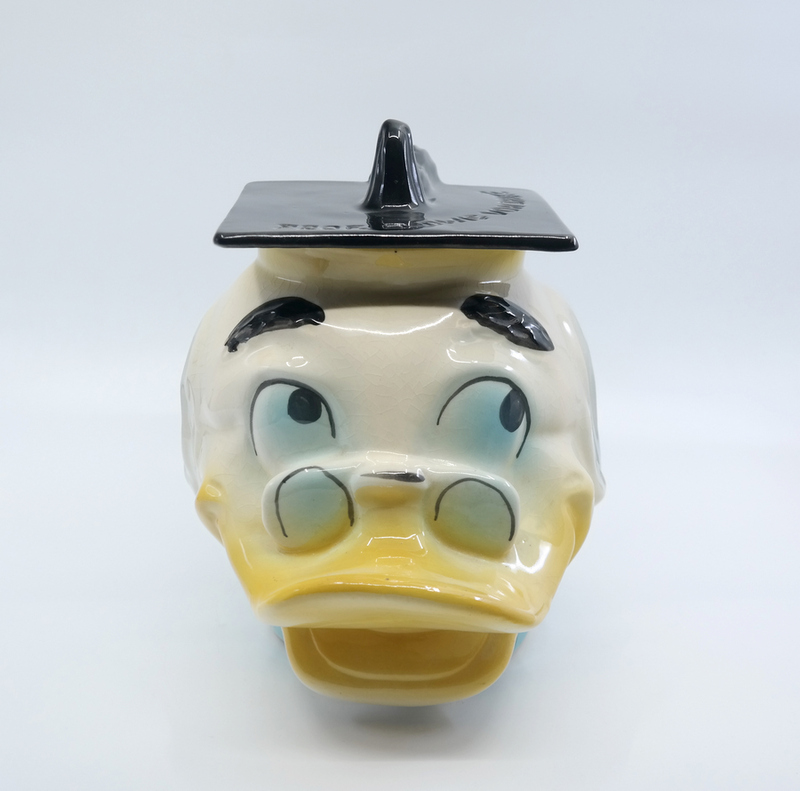 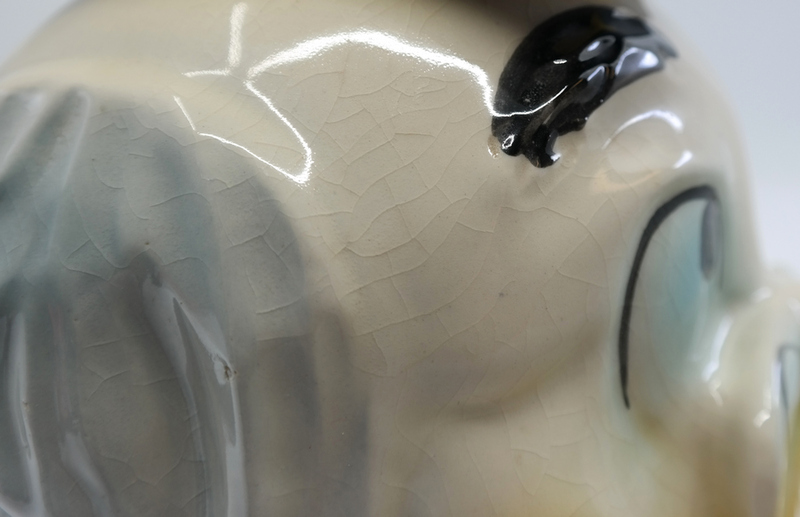 This particular jar is harder to find, likely due to the somewhat obscure nature of the character and unique design focusing just on his head. 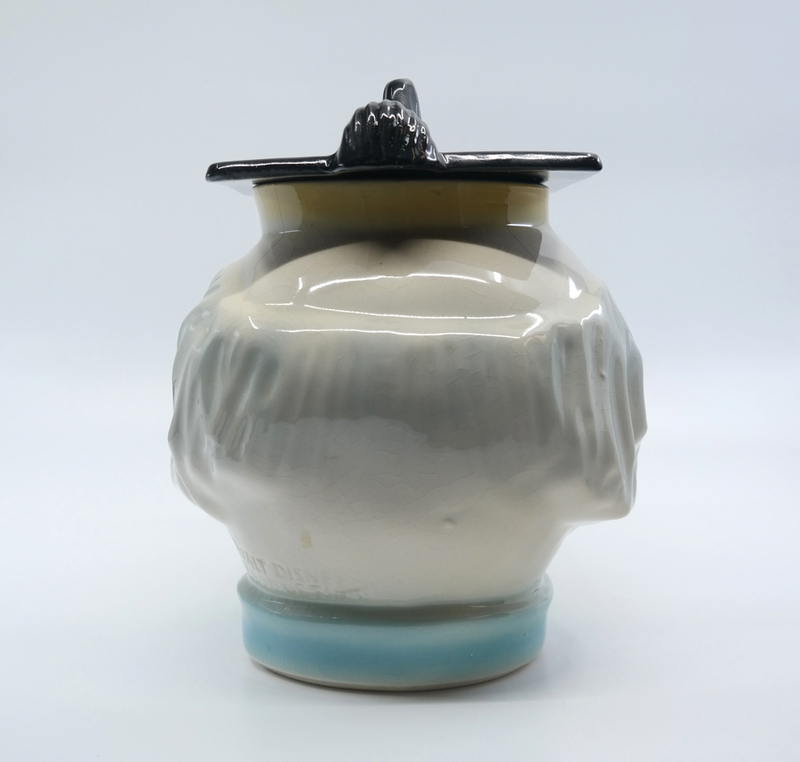 Ludwig measures 9" x 9" x 9" and is in very good condition.